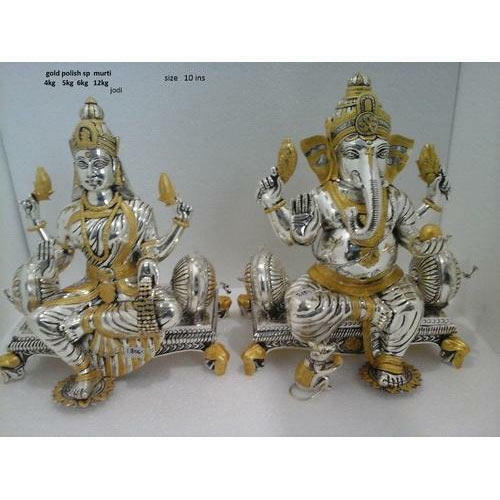 Having a definite quality management system, we are readily engrossed in bringing forth a comprehensive gamut of Decorative Silver Idol. Our journey began in 1981, when Silver Emporium Pvt. Ltd. was founded by Mr. Kantilal Mehta. Over the years, his pioneering spirit moved the entire industry forward. Apart from setting high benchmarks, he introduced new techniques like using gold polish on silver product. We are the leading manufacturers, wholesalers, importers and exporters of Silver Tray, Silver Jug Set, Silver Tea Sets, Silver Photo Frames, Silver Flower Vases, Silver Dinner Set and much more.